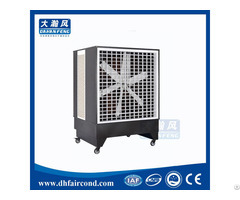 Fan frame: It is formed in one step due to the use of advanced automatic processing technique, the thick zinc coating ensures great corrosion resistance, the bottom outlet design makes fan structure more reasonable. Fan blade: Six hot galvanized blades which are formed in one step are aesthetic, durable and resistant to deformation, the blade passed the dynamic balance test and its reasonable angle ensures maximum air flow and minimum noise. Shutter: High strength hot galvanized plate, the hammer device makes it possible to open and close louvers completely, maintain a 90-degree opening angle to ensure louvers are windproof, rainproof and dustproof. Motor: 100% copper wire motor, V type belt is durable, high energy efficient, 3C approved, IP54, class F insulation. Belt: Imported A type belt is long lasting, deformation resistant, and requires no maintenance. Swung drop hammer: Made of high quality nylon, stable performance, guaranteeing the shutters open and close flexibly. Protective net: Made of hard-drawn wire, designed as door-type, which is convenient for maintaining. Belt impeller: Made of aluminum magnesium alloy by injection moulded, adopting more stiffening rib, processed by sandblasting, eliminating the internal stress, high intensity, low noise, long service life. Belt Pulley: Made of aluminum-magnesium alloy by injection moulded, reducing the weight of blade and impeller, high corrosion resistance. Blast-sanding treatment for attractive appearance, eliminating internal stress to improve its own rigidity and stability, high strength. Tests: CE certificate, ISO9001 and ISO14001 certificate. 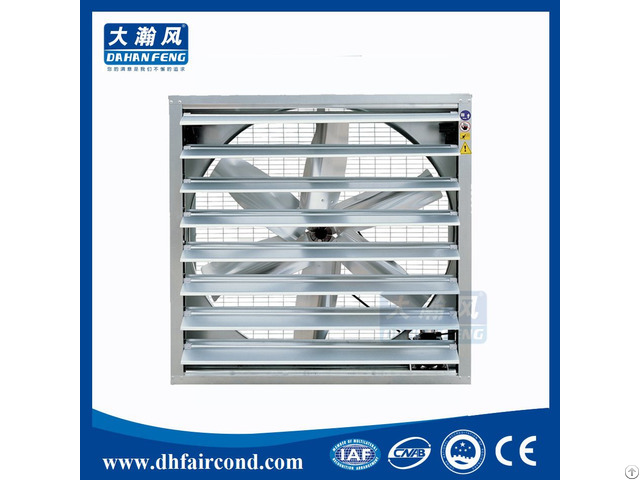 Standard exhaust fan is subjected to noise test, vibration test, concentric performance test, fan blade speed test. 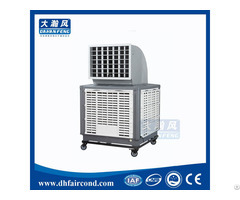 Air flow test and efficiency test, so as to ensure its quality.